This magnificent little video speaks for itself . . .
Before I actually started to listen to audio books, I had a bad attitude about them. I was very dismissive – I figured people listened to audio books because they were too lazy to read. In my defense, there is some truth to that notion. When I worked at Borders, I helped many harried mothers whose children had to read a book for school that they simply would not read, because they hated to read. So moms bought the audio book, thinking that might help. And they may have been right, though for many of those kids, paying attention to 9+ hours of material was probably more than they were willing to do. I began listening to audio books by accident. Ernie and I had night jobs on a clean-up crew at a local grade school, and our supervisor was an audio book fiend. He would play them on the PA system. After the first night of this, I was hooked. 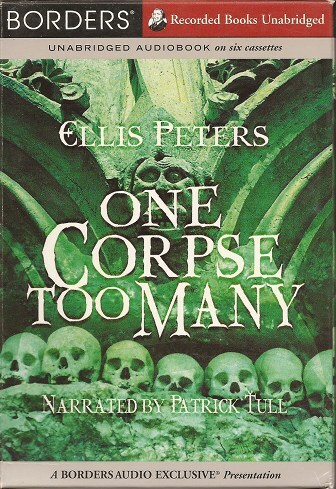 I realized that audio books were very much like the old radio shows. And best of all, I could listen to them while doing other stuff, like gardening, housekeeping, cooking, or driving. Now that I can listen to audio books on my itouch, I'm really spoiled – these days I'm listening to an audio book at some point just about every day. In the old days, price used to be a huge limiting factor for audio books. You paid anywhere from $25 to $125 for one book. Many people were willing to pay, but after the economy tanked, publishers reacted more intelligently with audio books than they did with print books. They went digital. Granted, they may have been forced into that technology by heavy hitters like Amazon, but it seems to be working out for the best. 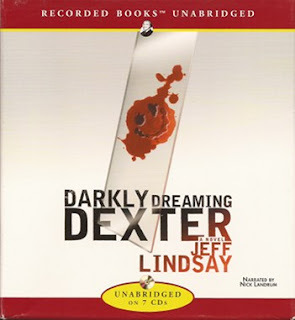 Prices are lower, and there are a wide variety of good audio books to chose from. I have my favorite authors: Ellis Peters, Stephen King, Dean Koontz, Jeff Lindsay, Elizabeth Peters, etc. But now that I've been listening for a while I also have my favorite readers, people you will not have heard of unless you listen to audio books. These folks are superstars, they don't just read the material. They are the ones who turn a good book into an entertaining dramatic presentation. 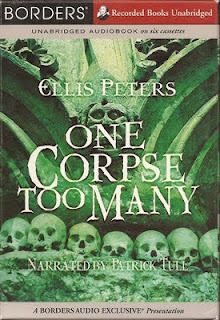 Many of them can do multiple foreign accents (an ability I very much envy, now that I'm recording my own audio books). Patrick Tull and Barbara Rosenblat are two giants in the field. TV actors also find work narrating audio books: B.D. 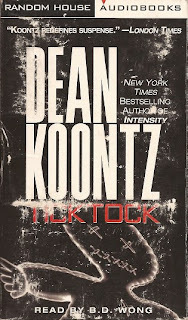 Wong's narration of Ticktock, by Dean Koontz, is delightful. 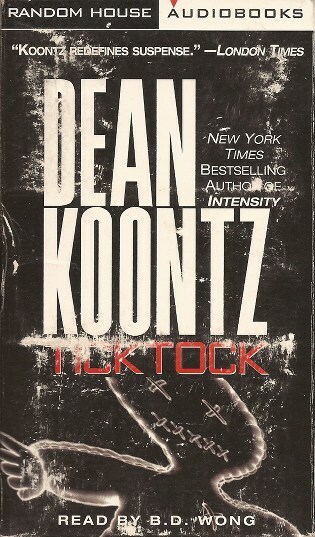 Jay O. Sanders and Stephen Lang also narrated books by Dean Koontz, Dragon Tears and By The Light Of The Moon. I have a long list of favorites I can refer to when I need to be happily diverted. 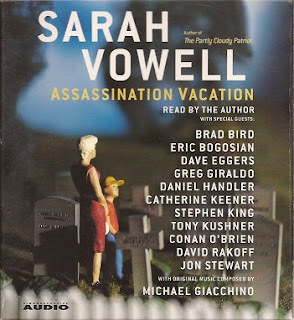 Sarah Vowell features prominently on that list. And it's not because she has a beautiful voice or because she can do foreign accents. In fact, though Sarah Vowell narrates 70% to 80% of her audio books (except for The Partly Cloudy Patriot, where she does about 90%), guest narrators do the particularly challenging roles. It's not Sarah's acting ability that snags me, it's her wit, her comic timing, and her delightfully nerdy subject matter that keeps me tuning in. She is an unabashed American history buff, and her obsessive inquiries into our past are funny, fascinating, and illuminating. Assassination Vacation and The Wordy Shipmates can withstand multiple listenings. In fact, they just get better every time I hear them. There are times I feel like I'm just a voice in the wilderness. It's nice to hear another voice crying out there too, even if it's a little squeaky. My voice isn't that melodious either. Sarah gives me hope – in more ways than one. Treat yourself. Give her a listen.